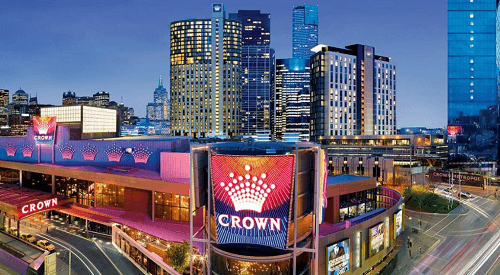 On Thursday, Crown Resorts announced their half-year earnings specifically from their Melbourne casino. Their resort has had an increase in revenue as a result of the VIP program at the Melbourne casino. Their revenue increased to 37.5 per cent. According to Crown Resorts, they saw an increase in the number of international high roller players that visited the casino. Most of the VIP gamblers are coming from Asia. They announced that their revenue went up to AU$1.78 billion in the past six months until 31 December. An increase of VIP turnover was also part of the half-year report which is AU$22.6 billion from their two local casinos. The management at the resort company attributed the increase of high roller players to the large junket operators because they had to stop direct marketing in China following the arrests. In October 2016, 19 of Crown’s employees were arrested in China. The staff members were caught promoting gambling which is a legal offence under the Chinese law. Most of the arrested Crown employees were sent to prison for nine to 10 months. As a result of this, the number of high roller players that visited the Crown Resorts casinos declined. A lot of their VIP players were coming from Asia especially from China. They worried that the bad press would bring unwanted attention to their gambling habits. The arrests in China prompted Crown Resorts to leave their plans to expand internationally and concentrate on domestic business. They sold their Melco Crown Entertainment shares and the land they had in Las Vegas. Crown also started selling their business in Macau. At the moment their primary focus is the Perth, Melbourne resorts as well as the Sydney resort project. The Sydney project’s cost is estimated at AU$2.2 billion and is still under construction and scheduled to open in the first quarter of 2021. According to the management, their focus will remain in their domestic operations.